In more ways than one. 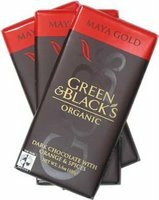 It seems that my favourite cholcolate bar, Maya Gold from Green & Black's, is revitalising a whole region of Belize. Plus it tastes good.